Hi Everyone! Today I'm excited to finally, after years and years of talking about it, introduce you to Princess Robot Commander! That is, I'd like to introduce you to Ellie Whitmore, a young woman who is more of a curiosity than she'd ever thought, which is saying something! Zooming in brought out all of the amazing features. I adore Ellie's expression of awe and wonder. I mean, who wouldn't be blown away and overwhelmed to see outer space for the first time? Yesterday, her biggest worry was failing an exam. Today, it's saving the galaxy. Ellie Whitmore is no ordinary girl. Even if her parents weren’t internationally famous celebrities, her six foot four inch height and oddly spotted complexion would make her stand out in any crowd. But never would she have guessed she was an alien from far across the galaxy. Or that hidden within her genetic makeup lies the Kyroibi: an ancient and powerful relic housing the forbidden knowledge of her people. Knowledge some would sacrifice everything to possess. Worse, it isn't just the malevolent Emperor who wants the Kyroibi. Her own mother can't resist the draw of ultimate power and the one person Ellie might be able to trust is an unrepentant assassin who may be responsible for her life’s upheaval. 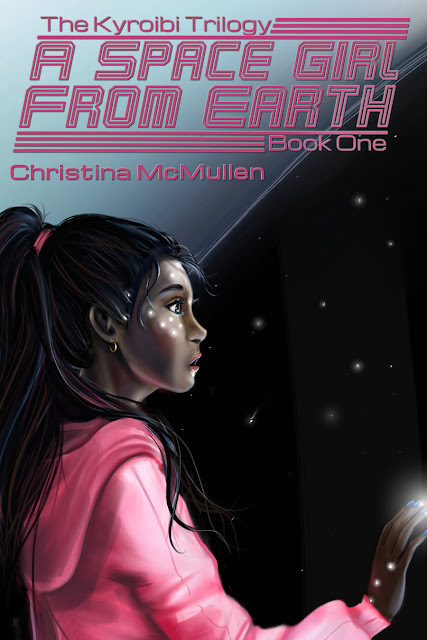 Now, she must travel to a distant planet and unlock the secrets to restoring peace and ending tyranny. But how can anyone expect her to save the galaxy when she can’t even pass organic chemistry? For one day on Friday the 19th, it's going to be FREE! Yes! Crazy, isn't it? But this is my gift to you, the awesome folks who are always the first to read and review my books. And you're helping me as well! I mean, by all means, throw money at me if you'd like, but by grabbing the freebie, you are helping elevate my book up the ranks, which means it will get into the hands of even more readers. Readers who might stick around and snap up the rest of the trilogy! and help me spread the word! In the meantime, I've got a three chapter preview available to anyone who wants one. I can can send you a PDF or Mobi (kindle) file via email. There is supposed to be a preview on Goodreads, but as of press time, this had not yet shown up. UPDATE! Goodreads has the preview! Just fill out the form below and I'll send one over. 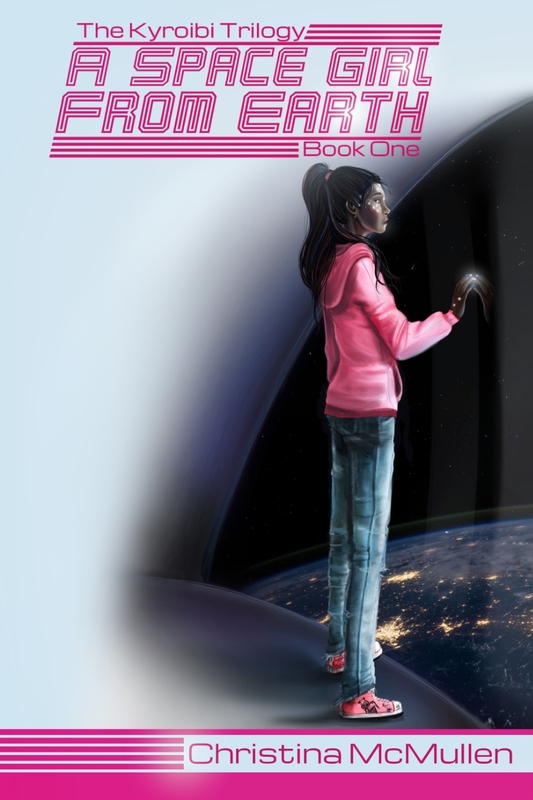 Missy has written a great post about the process of creating the cover. Read all about it here and check out the cool video showing how it was done! Also, Ember Raine Winters has done an excellent character interview with Ellie. Get to know more about my reluctant protagonist here! Thanks again, everyone, for your continued support of Indies! The covers are great and I look forward to meeting her.